Stirling Moss and Vanwall had won the last two races of 1957 but by then the world title was done and dusted. 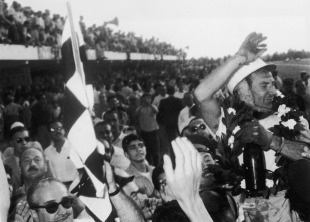 But anyone who expected Juan Manuel Fangio to resume his stranglehold on the championship in what he had said would be his last season when the real action resumed in Argentina was in for a wake-up call. The world was moving on. Fangio was almost 47 and was conscious the would-be-champions snapping at his heels were almost all two decades or more younger and almost all British. His Maserati team had withdrawn from the sport, but were still providing cars to privateers. Formula One was also moving on with some fairly major rule changes. Alcohol-based fuel was banned in favour of Avgas (a change that worried Vanwall in particular) while drivers pitting and swapping cars was all but outlawed. 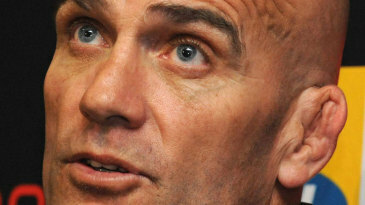 A championship for manufacturers had also been instigated for the first time. Vanwall also opted not to travel to Buenos Aires, and so Moss drove a Cooper; it was the only non Maserati or Ferrari is a small field. He had actually not decided which car to drive despite his previous season's success with Vanwall. And he only just made the race after his first wife, Katie, accidently stuck her finger in his eye two days earlier while they were "skylarking". He was taken to hospital and then he had to be examined by a doctor 30 minutes before the start and only removed bandages minutes before the beginning. Defending champion Fangio, who had won the previous four Argentine Grands Prix, took pole in his privately-entered Masarati and led early on, breaking the track record several times, before being overhauled by Moss on the 35th lap when he had to pit with worn tyres. After a cautious start, Moss was getting to grips with the rear-engined Cooper and fought his way past Ferrari's new Dino 246 machine complete with V6 overhead camshaft engine. In the lead, Moss' big concern was to preserve his tyres because the Cooper was without single centre-nut wheel-fixing and a pit stop would prove far too costly. In the closing stages, and with his tyres shredded, Moss just managed to hold off Luigi Musso with Mike Hawthorn a close third. In the end, the lightness of the Cooper-Climax which meant it was less punishing on tyres was the crucial factor. Moss' win was the first in the championship for a rear engined car, the first for an independent team and, of course, the first for Cooper.